One2Backup is an Online Data Backup Software Company based in South Africa, that offers instant and automatic online data backup solutions for individuals and companies. 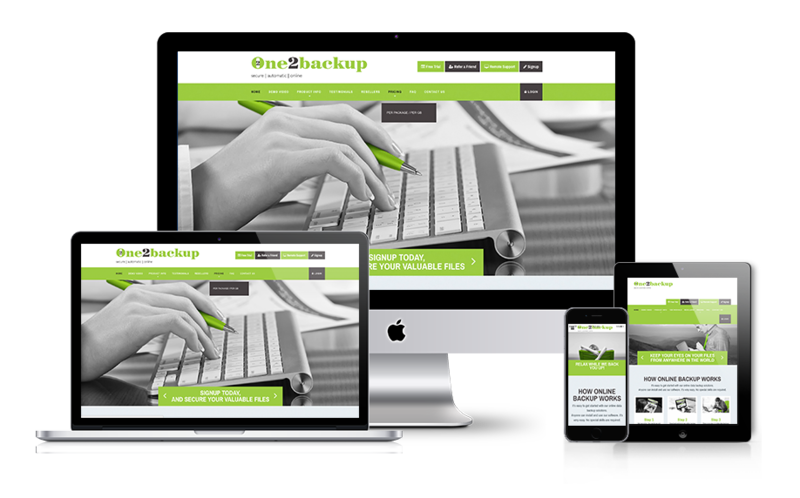 We redesigned and restructured One2Backup’s website with the aim for an easier, fully mobile, responsive user-experience. Our primary goal was to increase traffic, drive more leads, and ultimately increase One2Backup’s conversion rate. From 2016 to 2017, over a 6-month period, we increased their website traffic by 160% and their goal completions by 88%. We created engaging web content showcasing their products and services, while restructuring and integrating more visual elements to highlight their extensive product offering. We were also tasked with Social Media Marketing, PPC Services and AdWords Campaign Management as well as implementing SEO tactics to improve their Google ranking.